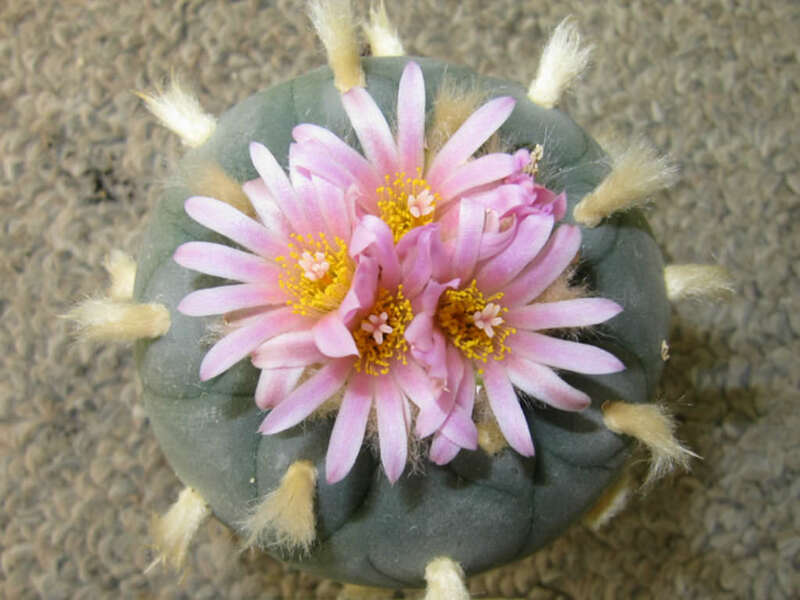 Lophophora fricii is a globular spineless cactus with large tap root. Stem is pale grey-green to yellow-green, usually lacking well defined ribs and furrows. 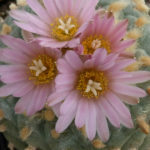 Flowers are commonly pale to dark pink, reaching up to 1.6 inches (4 cm) in diameter. 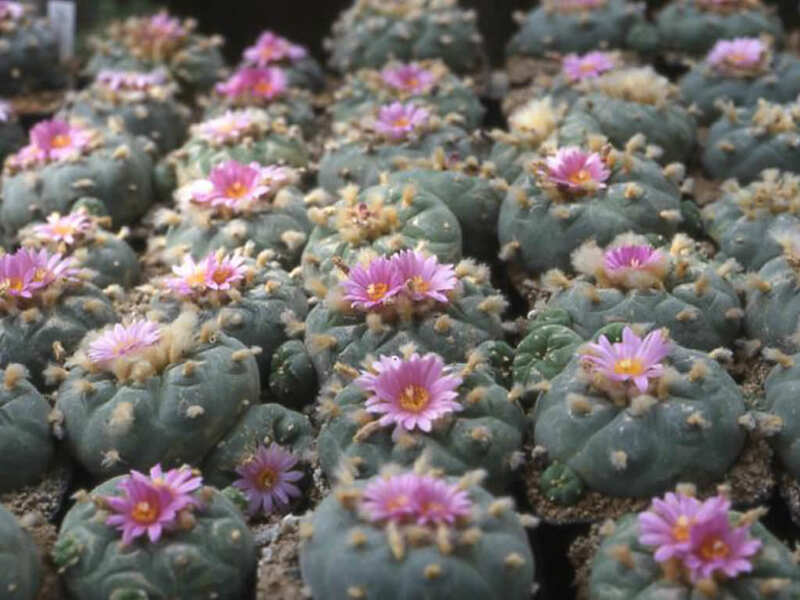 Lophophora is more tolerant of soil types than its relatives, and typically grows in areas which have decomposed limestone present in the soil. 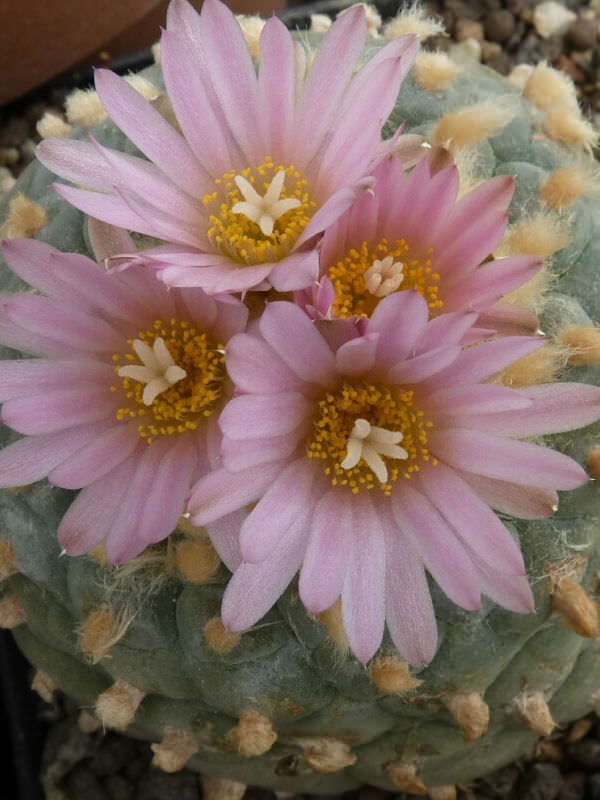 In cultivation, Lophophora does best in a fast draining mineral based soil which is about two thirds sand. Abundant water is beneficial in the summer months when the temperatures are over 90 °F (32 °C) and exposed to full sunlight for maximum growth, but must be allowed to dry out completely between waterings. They should also be fertilized twice a year. 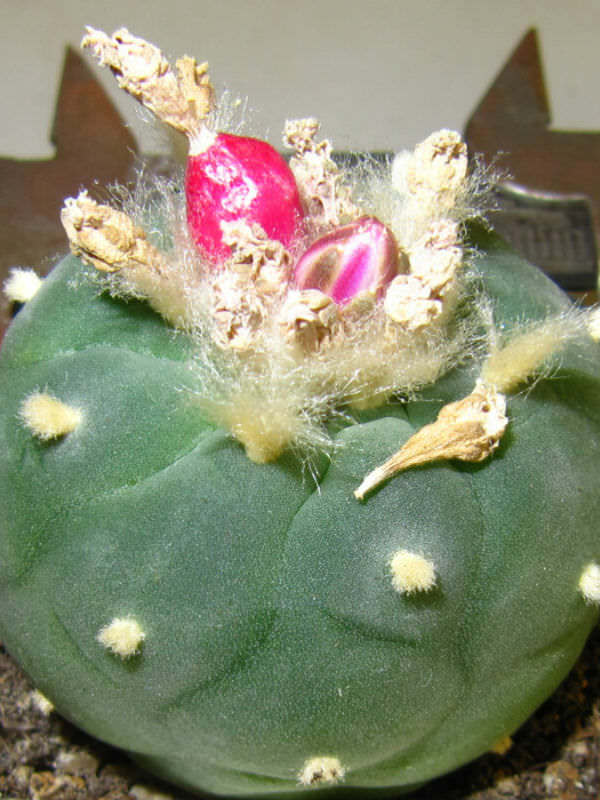 Over fertilizing will typically result in the Lophophora developing cracks and splitting. 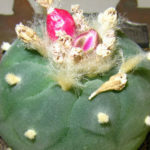 At times, some varieties of Lophophora will develop a corky material on the plant body if exposed to pesticides or insecticidal soap. This corky condition will usually heal in a manner very similar to human skin if the plants are exposed to full sunlight. 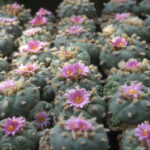 Lophophora are free flowering in cultivation and although they can withstand low temperatures during winter they do not require a cold shocking in order to initiate flowering… – See more at: How to Grow and Care for Lophophora. It is endemic to Mexico, around the lagoon near Viesca in the state of Coahuila.